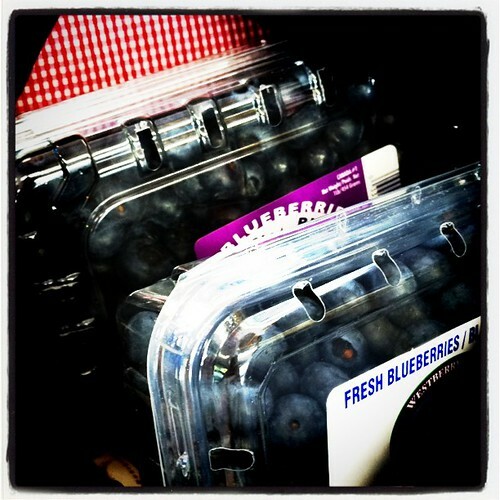 Blueberries were on sale, 2 for $5 at Save-on. And so I conducted a mini local blueberry taste test: Westberry Farms vs Golden Eagle. The latter were overall much larger and yet the smaller Westberry berries packed so much more flavour. Note the silvery blueness of the winning berries. Apparently, the more silvery, the fresher the blueberry. 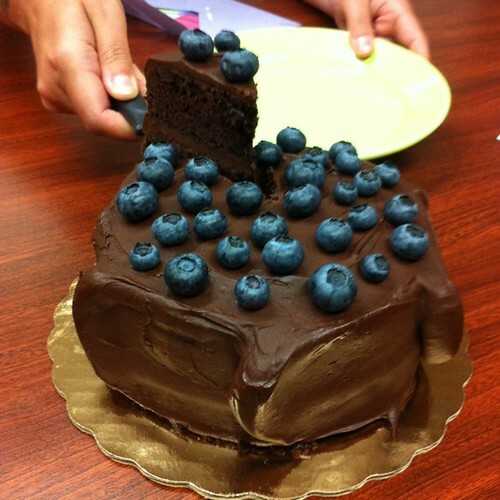 Here are the berries decorating Mauve's goodbye cake. A sweet sweet dessert for a bittersweet day.